This free to attend, one day symposium, is aimed at scientists from pharmaceutical, biotechnology, agrochemical, flavor and fragrance organizations, not-for-profits and academia who wish to get a broad appreciation of the latest advances in drug discovery delivered by key scientists and thought leaders from leading organizations. 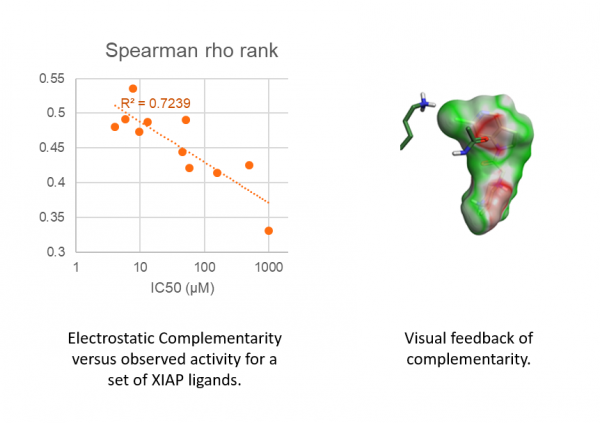 Computer-aided drug discovery is most successful when designs and hypotheses fully leverage the existing knowledgebase while at the same time creating opportunities for serendipitous discoveries and exploration of new chemical space. When venturing into the unknown, the knowledge we seek to apply is aimed at improving the quality of our designs and hypotheses. Improving quality means different things for different projects and for different stages of the same project. After defining the quality dimension that is relevant for a given project, we apply the Analysis-Knowledge-Action, or AKA, principle: We analyze the relevant data, extract knowledge, and formulate an explicit action. This lecture will describe application of our AKA principle in designing compound sets for screening and in generating medicinal chemistry design principles for optimization. The quality dimension that will be highlighted in the compound set design application relates to cytotoxicity. Analysis of our in-house data allowed us to extract knowledge, initially in the form of a logD-driven relationship to cytoxicity, for application in antibacterial projects. Subsequent work resulted in a predictive model using the pQSAR platform that leverages the entire Novartis knowledgebase and provides cytotoxicity risk assessment for drug discovery in all disease areas. This model can be used in the explicit action of biasing compound set designs when selecting compounds from compound archives, hit-lists, or virtual libraries. A customizable KNIME workflow will be described that allows this and other quality measures to be balanced with optimal coverage of diversity for compound set designs. The optimization application will show the use of matched molecular pair (MMP) analyses to extract knowledge in the form of design principles related to quality measures for in vitro ADME endpoints. The MMP analysis across our whole corporate archive allows identification of transformations that consistently improve the quality of the compound in the selected dimension. The explicit action in these examples is the synthesis of selected compounds. Computational tools that are needed include analyses platforms and visualizations that function as idea generators and allow team members to interpret the likelihood that certain transformations have the desired impact, thus inspiring compound synthesis. The organic anion-transporting polypeptide 1B1 transporter belongs to the solute carrier superfamily and is highly expressed at the basolateral membrane of hepatocytes. Several clinical studies showed drug-drug interactions involving OATP1B1 thereby prompting the International Transporter Consortium to label OATP1B1 as a critical transporter that can influence a compound’s disposition. To examine OATP1B1 inhibition early in the drug discovery process, we established a medium-throughput concentration-dependent OATP1B1 assay. In order to create an in silico OATP1B1 inhibition model, deliberate in vitro assay enrichment was performed with publically known OATP1B1 inhibitors, non-inhibitors, and compounds from our own internal chemistry. In this presentation the strategy and results of assay enrichment, along with the performance of subsequent QSAR model(s) will be discussed. In addition to the in silico OATP1B1 inhibition QSAR models, physicochemical trends were also examined to provide structure activity relationship guidance to early discovery teams. Only 2% of human proteins interact with approved drugs. It is also estimated that only about 15% of human proteins are disease modifying and only about 12% are druggable (with no correlation between the two sets). Consequently, only about 2% of disease modifying proteins would be druggable. I used Water Swap to assess a number of proteins that fell in to the category of having ligands that advanced into clinically evaluated drugs and those that had been studied and were not able to advance preclinical ligands into clinical evaluation. Proteins that had clinically advanced ligands were found to have pockets that had a favorable DG for ligand binding as opposed to water. Those Proteins that had not yielded clinically advanced ligands had pockets that favored water rather that ligand. Water Swap is a good method to evaluate protein druggability. Compound design requires a combination of knowledge and expertise from different perspectives: Understanding of structure-activity relationships (SAR), based on data from previously studied compounds; expertise from diverse fields to define the multi-parameter optimization (MPO) objectives of a project; and knowledge of synthetic strategies that may be applicable to create the next rounds of compounds for investigation. All of these forms of knowledge can be captured and applied computationally: Machine learning methods can generate quantitative structure-activity relationship (QSAR) models to predict the properties of novel, virtual compounds; MPO methods capture the desired property criteria for a successful compound for a specific project and rigorously prioritize ideas for consideration; and, optimization strategies can be captured as structural transformations that reflect steps made in previous chemistry projects[3,4]. In this presentation, we will describe these methods and illustrate how they can be seamlessly combined to rigorously explore new, relevant compound ideas and prioritize those most likely to achieve a project objective. This approach can help to stimulate the search for new optimization strategies and explore a much broader range of compounds than could be achieved based on a single chemist’s or even a project team’s experience. Example applications include the optimization of compounds with a desired polypharmacology or selectivity profile and exploration of lead hopping strategies to overcome pharmacokinetic issues, while maintaining target potency. Medicinal Chemist’s Relationship with Additivity: Are we Taking the Basics for Granted? Given the importance and complexity of ligand-protein interactions in drug discovery, medicinal chemists continuously rely on structure activity relationships to design molecules which improve binding affinity. Crucial to predicting activity is an understanding of additive relationships in the SAR. Yet most drug programs never quantitate the additive SAR relationships when working on drug discovery programs, even in an environment that has made the synthesis of matrix libraries relatively simple. Presented here will be simple to use methods for quantitating additive relationships within SAR matrices and a number of examples of the utility of these methods in drug discovery projects. In addition, an SAR example which clearly confirms protein structural changes as the source of some non-additivity will be presented. Dr. Breitenbucher has over 20 years of drug discovery experience and is currently Professor at the Institute for Neurodegenerative Diseases (IND) at UCSF. Guy manages a team of drug discovery chemists within the IND focused on discovering treatments for disorders in which protein miss-folding is the primary pathological component. Prior to joining UCSF, Dr. Breitenbucher was senior director of Chemistry at Dart NeuroSciences (DNS). Dart’s focus was discovering drugs that enhance synaptic plasticity for the treatment of a variety of CNS disorders. During his 8 years at DNS he built a dynamic scientific department that discovered 10 novel pre-clinical candidates utilizing 7 different biological mechanisms, currently 4 of these molecules are in clinical evaluation for the treatment of Parkinson’s, Stroke, and Schizophrenia. Prior to Dart, Guy was a research fellow at Johnson & Johnson and headed Pain Discovery Chemistry. At J&J, Dr. Breitenbucher worked on or led drug discovery projects in 10 different biological mechanisms which advanced compounds into pre-clinical or clinical development for a variety of disorders. Dr. Breitenbucher received his B.Sc. and M.Sc. in chemistry at California State University at Long Beach and his Ph.D. in organic chemistry at University of California at Riverside. Dr. Breitenbucher is co-author on over 50 peer reviewed scientific papers, an inventor on over 40 patents. Matt Danielson earned his PhD in Medicinal Chemistry and Molecular Pharmacology from Dr. Markus Lill’s group at Purdue University where he studied molecular dynamics and docking in CYP enzymes. After completing his PhD, Matt joined Dr. Michel Sanner and the AutoDock group at the Scripps Research Institute for his postdoc and worked on incorporating protein flexibility into molecular docking. In 2013 Matt joined the computational ADME group at Eli Lilly where he has supported drug discovery efforts in several therapeutic areas. Hanneke is a Director at the Novartis Institutes for BioMedical Research and heads the Computer-Aided Drug Discovery (CADD) group at their Emeryville campus. Her group develops and applies CADD approaches to projects at all stages of the global portfolio to impact drug discovery. Hanneke’s research interests include the design of relevant compound sets for hit-generation, improved predictive modeling that leverages large complex datasets, and developing computational chemistry & data-mining methods that can be integrated into state-of-the-art workflows to inform decision-making from target-ID and validation through hit generation and optimization. Prior to Novartis, Hanneke worked at Chiron Corporation and at Astra. Hanneke is a Fellow of the American Chemical Society and the founder of the Teach-Discover-Treat initiative, which is an initiative to provide high quality computational chemistry tutorials that impact education and drug discovery for neglected diseases. She received her Ph.D. in Computational Medicinal Chemistry from the School of Pharmacy, University of Groningen (Netherlands) and completed a postdoctoral term at the BioMedical Center of Uppsala University (Sweden). Adam brings over 25 years of computational chemistry experience to Retrophin. He received his Ph.D. in theoretical organic chemistry from UCLA, working with noted theoretical organic chemist Kendall N. Houk. He has authored multiple patents, 10 at Vertex Pharmaceuticals, with more being written. Adam has also supported many basic research programs that have led to pre-clinical and clinical programs. At Ligand Pharmaceuticals he led the Thromcytopenia program leading to LGD4665(Totrombopag). His expertise includes drug discovery in women’s health, anti-infective, metabolic diseases, neurological diseases, oncology and hematopoietic disorders. Adam is also considered to be an expert in the statistical analysis and graphical display of biological data. Embassy Suites by Hilton San Francisco Airport, 250 Gateway Blvd, South San Francisco, CA 94080, USA.